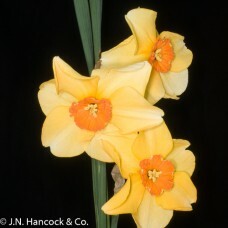 An added bonus in beautiful daffodils! 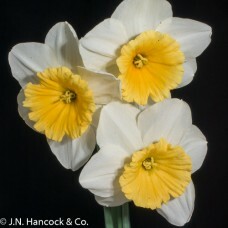 These varieties have a distinctive, violet-like fragrance which is strongest when the flower is freshly opened. 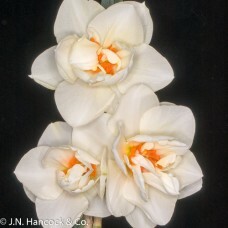 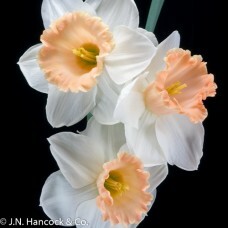 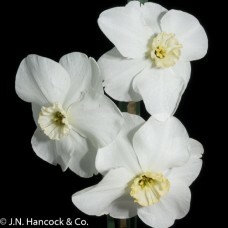 Seductive flower with a pure white rounded perianth. 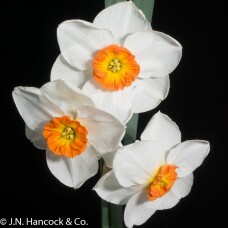 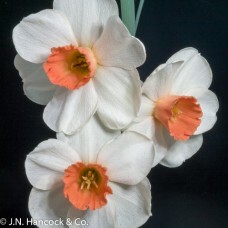 The thimble-shaped raspberry-pink crown has a c..
Distinctively perfumed daffodil with a milk-white perianth and a large cup which opens all pale peac..